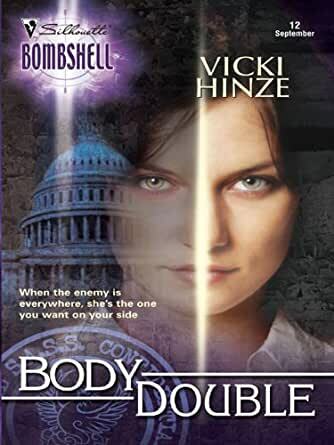 Body Double (War Games Book 12) - Kindle edition by Vicki Hinze. Romance Kindle eBooks @ Amazon.com. "BODY DOUBLE is suspense to the max! I can't wait to read the next Vicki Hinze book. ArmchairInterviews has an enormous amount of respect for Hinze's ability to conjure up a scintillating read." "Moves like a European bullet train. Not underwritten or overwritten -- just the right words are there at the right time for the right response. It's like a piece of music; visceral, yet intimate experience. "The heroines in a new genre of romance novels are smart and tough enough to take down anyone who gets in their way." "Vicki Hinze has a brisk, engaging writing style, and her heroine is a powerhouse." In this first of Vicki Hinze's WAR GAMES series, she has achieved such a grabber that it's difficult to wait for the next three books to come out. From tbe first sentence--"They were going to kill her." --BODY DOUBLE begins with a heart-stopping torture scene in the Middle East that immediately reveals Amanda West's courage, passionate belief in her country, survival spirit and greatest fear, as her terrorist captors bury her alive in a tomb. When she awakens and escapes from the tomb, she discovers she's close to her home in the U.S., and three months of her life have disappeared while someone kept her alive on intravenous while buried underground. How could she be buried in the Middle East and awaken in the U.S.? Against the backdrop of current hostage taking in Iraq, this opening scene brings to life the terrible risks and terror military, diplomat, aid workers and civilians endure to fight the war on terrorism in the Middle East and Afghanistan. That Amanda survives her ordeal is only by the grace of her captor, who, she learns, intends to use her in his diabolical plot to insert doubles of field agents working in all sectors of the U.S. intelligence community. How can she stop this monster and save her country from economic ruin? That's the question that drives each word and keeps you glued to every page until the very end when you realize the war of mind games and ultimate control is not over--like an octopus, this evil network called GRID can regrow new tentacles and reproduce successive leaders willing to martyr themselves to destroy the U.S.
Woven into the plot is Amanda's inner issues of distrust. Every day she overcomes memories of her father's past abuse with determined willpower not to become a victim to anyone again. But a victim she becomes, when she finally opens her heart to one man who turns out to be an implanted double and not the fellow agent she believes he is. Can she ever trust again? It's a complex thriller of intrigue, betrayal and romance that Vicki weaves, making her a queen of the new subgenre devoted to the Amazon heroine faced with the demands made on today's women, whether in the military or elsewhere. They must be physically fit, brainy, self-sufficient and multi-talented in addition to being nurturing, compassionate, vulnerable women. A tough task that modern women meet with devoted passion every day and without accolades. I highly recommend this book. It's one of Vicki Hinze's most engaging reads, and for that reason I will not give away the plot in this review. This book is a formidable, edge of your seat thriller. Author Vicki Hinze takes her readers on a roller coaster ride of suspense when Amanda West finds herself facing off against GRID operatives with an unaccounted for three month lapse in her memory. After fleeing from the tomb she was buried in, she is assigned by her S.A.S.S. commander to help Mark Cross prove his client did not murder his wife. That's when they discover that GRID is duplicating top intelligence agents for all branches of the. Telligence community. The diabolical leader of GRID, thomas Kinz, along with his right hand man want Amanda dead but not in a nice way. Hard to put down, this book is a must read for anyone who loves a great mystery. 4.0 out of 5 starsGood read. No foul language,which is a bonus. keeps you reading,keeps flowing with action. her characters are great,plot keeps getter thicker. she does . not have the depth of Cornwell but it is a good read , light but very entertaining. I love series and Vicki Hinze rocks series. I have all her paper backs and now have iPad and Kendall .Can't go wrong. Vicki does not write a bad novel. She keeps your interest right until the end and this book is no exception. You really get to know and like her characters. Well, except for the bad guys. You get to know how truly evil they are, and Thomas Kunz is worse than evil. 4.0 out of 5 starsThis sizzles! Do you cheer for the strong woman in television, movies, books and real life? Do you have to make yourself breathe during the chase scenes in a suspense movie? Do you dream of foiling every bad guy you've ever met, and those you haven't come in contact with yet? 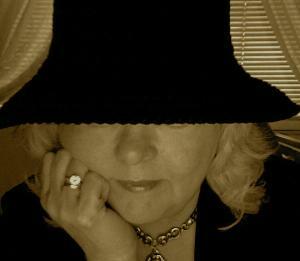 If you've answered yes to these questions, you can find all that and more in Vicki Hinze's books. Her Body Double is so exciting you should have your doctor give your heart a medical pass before you read it. Amanda West isn't fazed by the torture she's received at the hands of Thomas Kunz' henchmen. That was because she'd been tortured by the best as a child: her own father. Torture didn't work so Kunz believes that he can conquer Amanda by burying her alive in a brick and mortar tomb. He's underestimated Amanda. Amanda is a Special Forces captain who learns, following her escape from the tomb, that she's been captured and missing for three months. Her capture jeopardizes her career. But there have been other missing persons, and it's ultimately up to Amanda to get to the bottom of the kidnappings in order to protect the Unites States. Amanda's investigation leads her to another agent in search of the same answers. They learn that the unthinkable has happened. Someone is creating doubles of government agents, and the only man Amanda has ever trusted, might not be who she thought he was. And her survival might be at stake. Body Double is suspense to the max! I can't wait to read the next Vicki Hinze book. I've got a whole new genre to enjoy now. I have an enormous amount of respect for Hinze's ability to conjure up a scintillating read.